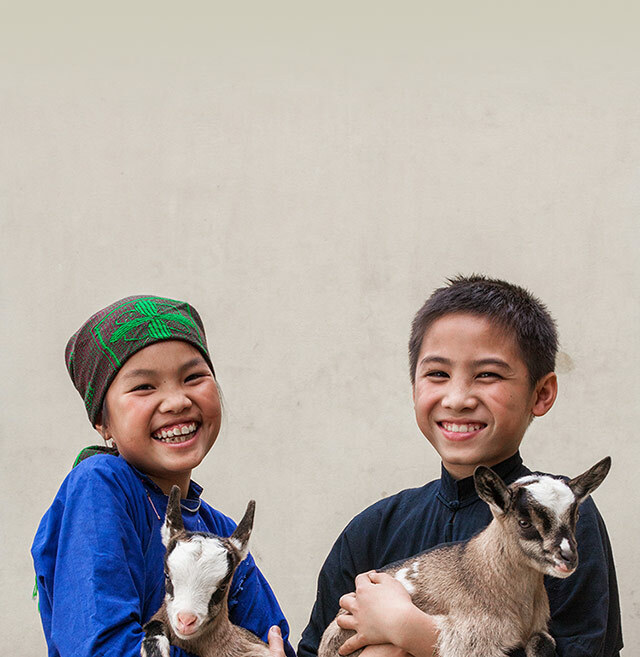 Farm animals feed families and can generate a substantial income. With enough milk to keep their children nourished, parents can sell excess milk at market to cover medical and educational costs. The combination of two goats and a sheep is truly life-changing.